When homebrew competitors go head-to-head, it makes for an intense event. But when those competitors are related, watch out. 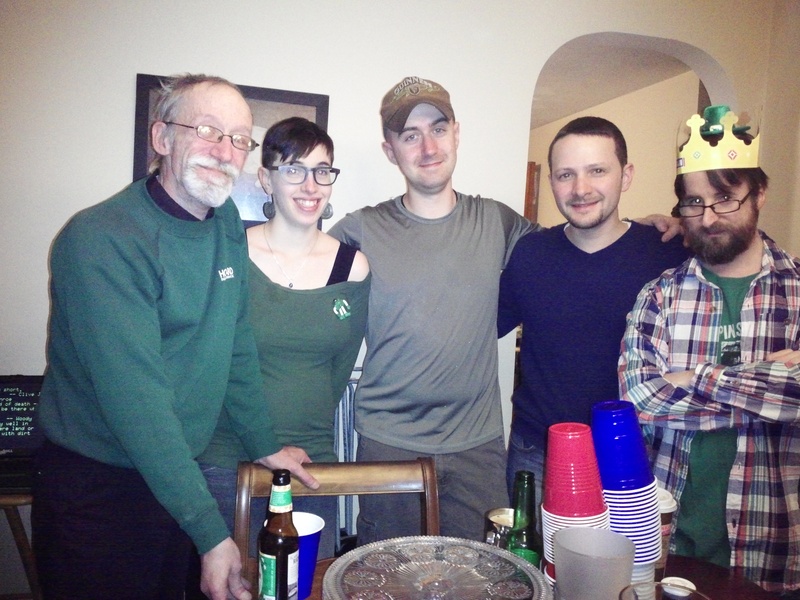 I recently had the honor of judging a high-stakes stout competition at my friend Emily’s house that pitted against one another a father, son, daughter-in-law, and nephew. Uncle Joe, who’s been brewing for more than 20 years, organized the informal comp for St. Patrick’s Day. I’d interviewed Joe for a profile years ago. Not only does he brew a mean beer on his stovetop, but he’s a walking repository of jokes. The comp became a tribute to Joe, who’d passed along the brewing bug to his family. Fake-it-til-you-make-it has been a philosophy of mine ever since I was an English major in college, and it certainly kicked in that night. I’d downloaded the BJCP guidelines to the subcategories beneath stout, and went ahead and sipped (from clear plastic cups…) the four entries. I was entirely blown away by the diversity and quality. Uncle Joe’s stout was crisp and even a little sour, and reminded me more of a brown ale I’d had once. Son Joe’s was roasty and mild, lightly carbonated, with a sweet finish. His wife’s made me think of a dry English stout. Nephew John’s was like an oatmeal bath with plenty of syrup. Joe’s son won out, primarily because it was so balanced and made me want to have another right away. It turned out that daughter-in-law had used chai tea in hers. I was ashamed not to have caught the primary ingredient in nephew John’s: bacon. Not only did he dip crisped bacon after the boil like you would with a dry hop, he’d combined it with bacon-infused vodka. You can hear a play-by-play of the competition by Uncle Joe Labeck on his podcast, “You Make What?” Skip to 1:25 to get right into it. RELATED POST: Available For Parties!